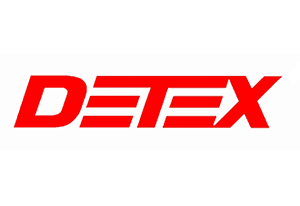 For front doors, back doors, side doors, automatic swing doors, interior doors – wherever life safety and security door hardware is required in a retail environment, Detex manufacturers the best engineered, most reliable products with the most options for retail & restaurant applications. Detex offers heavy duty exit devices with a variety of electrified functions including access control, delayed egress and forced entry concerns. Detex also offers optical turnstiles, door prop alarms and tailgate detection, which are ideal for the corporate office and distribution centers.